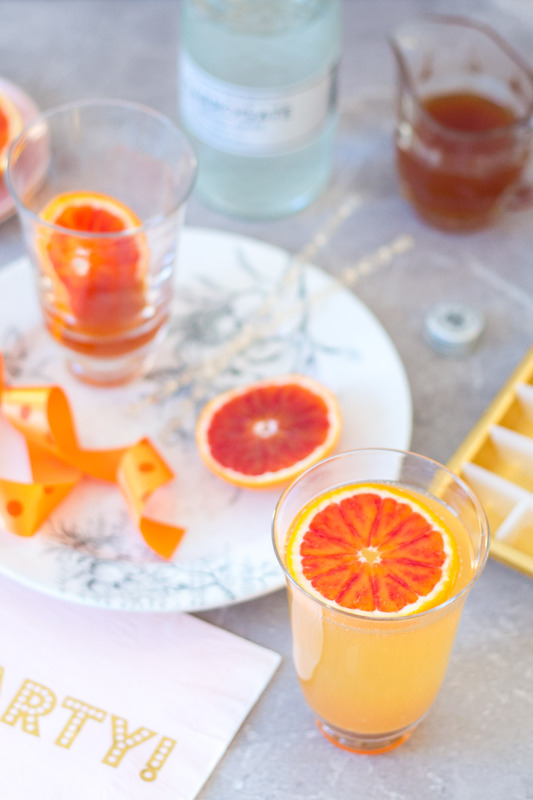 A fresh, juicy blood orangeade made with a tangy orange syrup topped up with sparkling water. The make-ahead syrup keeps well in the fridge, for easy, fruity summer drinks. Can you get blood oranges where you are based? They are not very common in the UK, but my local supermarket has been stocking them for the past couple of months. So fragrant and juicy, much, much better than the bulk oranges I usually see. 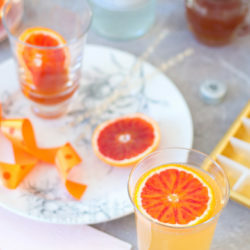 Make a stash of the base orange syrup – you can use it for cocktails (like this Blood orange fizz cocktail) or drizzle over desserts. It won’t go to waste. A simple, summery soft drink. 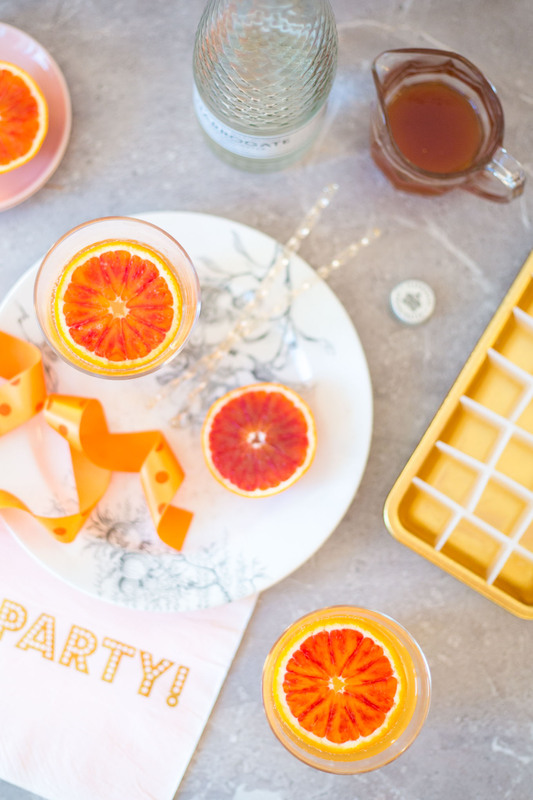 A fresh, juicy blood orangeade recipe made with a tangy orange syrup topped up with sparkling water. The make-ahead syrup keeps well in the fridge, for easy, fruity summer drinks. 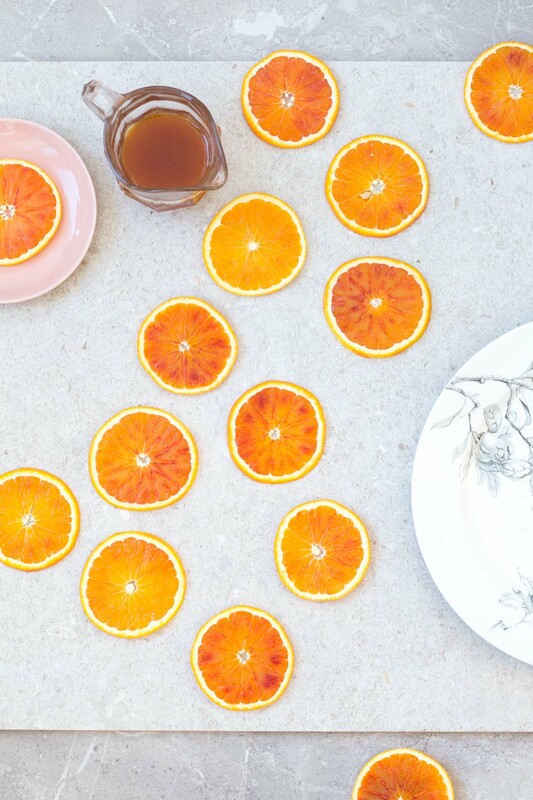 Spoon or pour the syrup into a large glass and gently slide in the blood orange slice. Top up with sparkling water. Stir gently with a spoon or cocktail stirrer to mix in the syrup if needed.